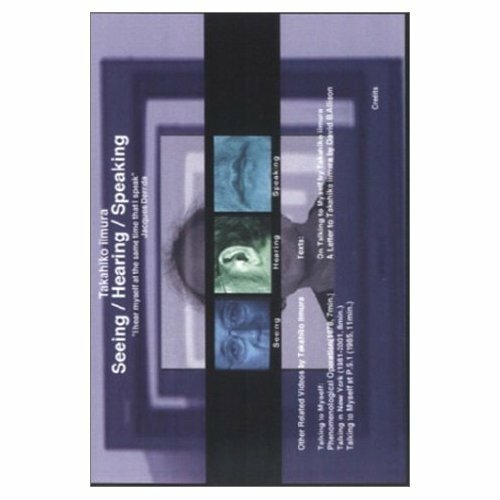 " 'Seeing / Hearing / Speaking' is, I think, a true masterpiece. - Daniel Charles, author of "John Cage"
can perceive and localize "Hearing / Speaking" with the organs. "Talking to Myself at PS1" (1985). seen". The text includes "A letter to Takahiko iimura" by David B.
at the legendary Brussels International Experimental Festival, l964. essence", is that I hear myself at the same time that I speak.